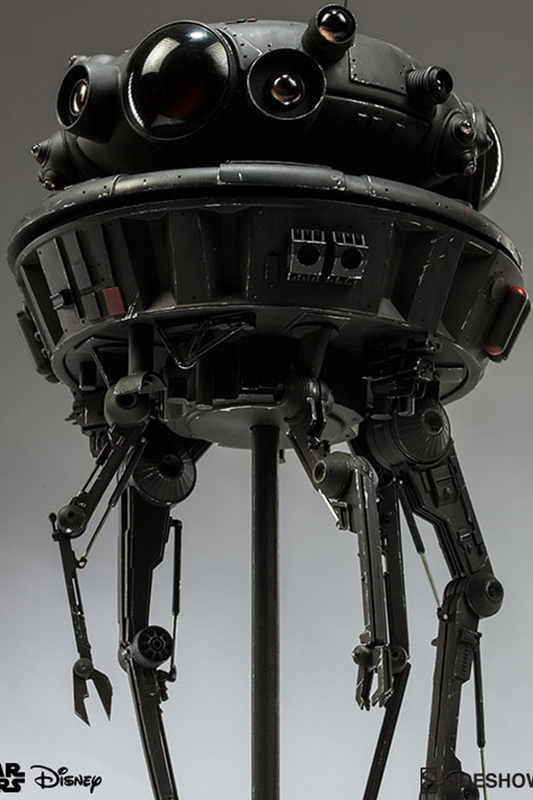 An Imperial probe droid. 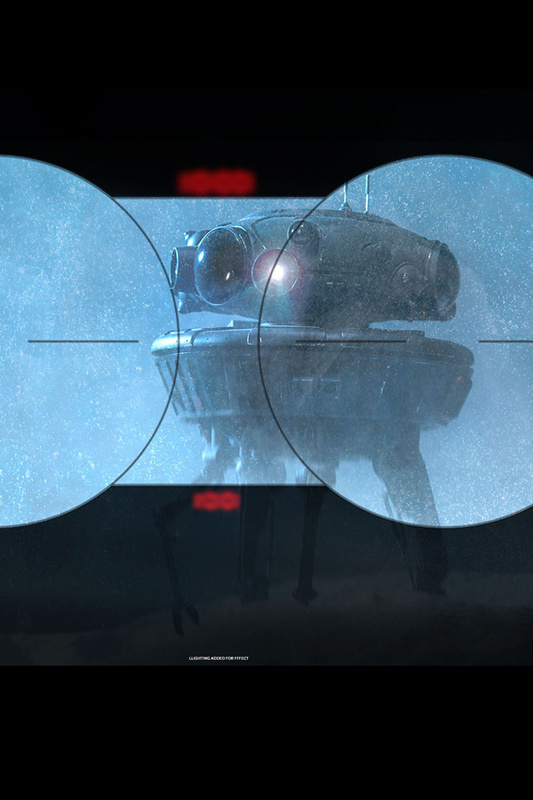 It's a good bet the Empire knows we're here." 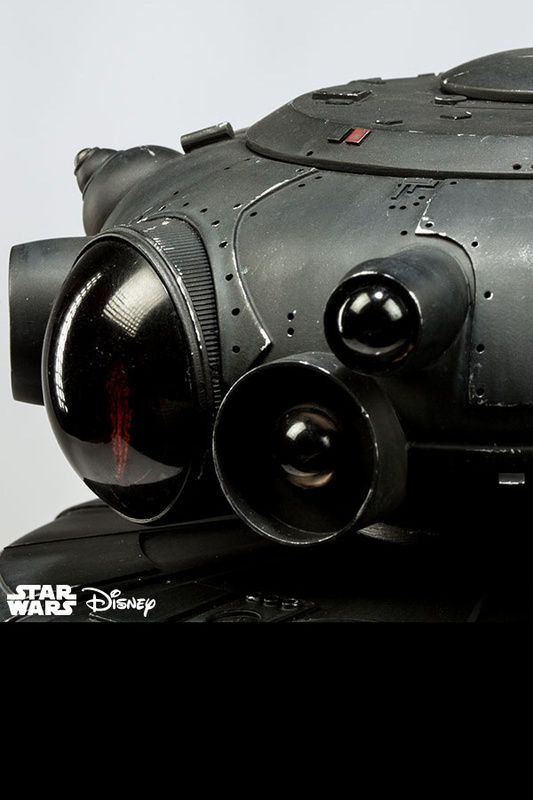 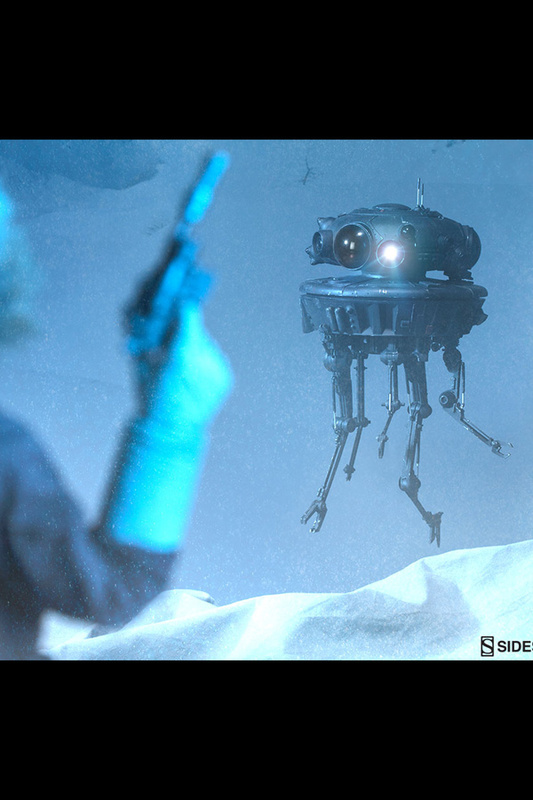 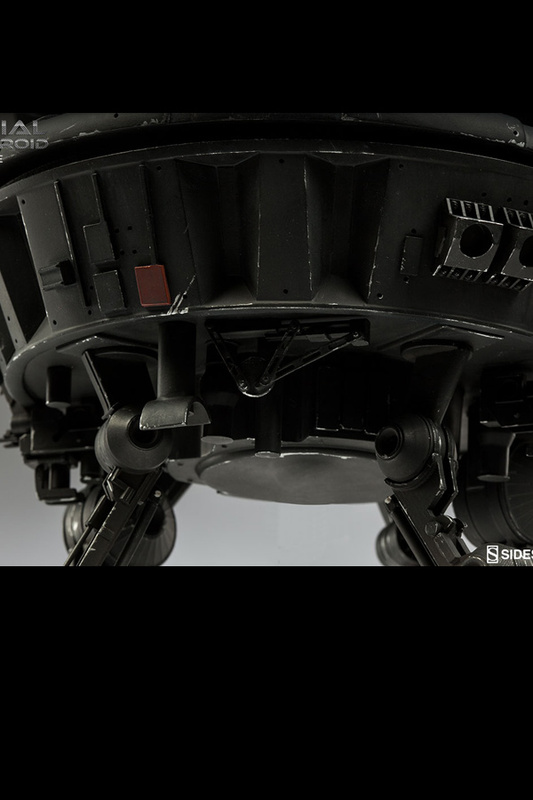 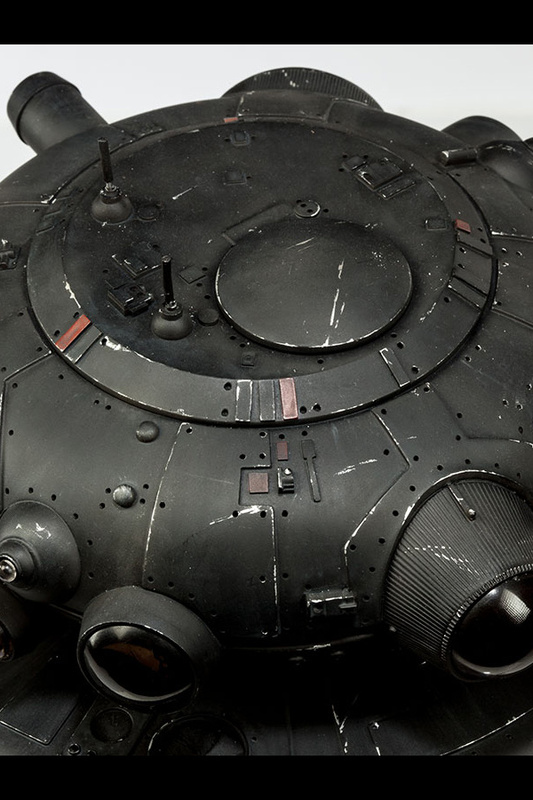 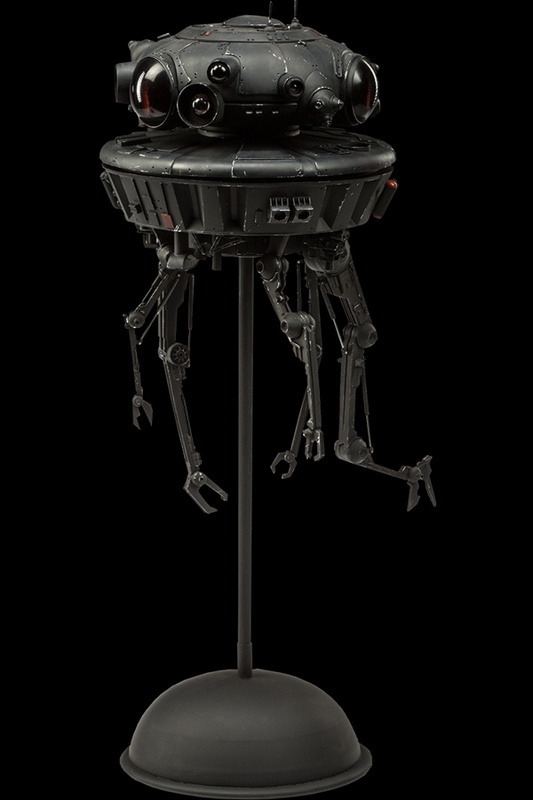 Joining the Star Wars Sixth Scale collection, Sideshow is proud to present the Imperial Probe Droid. 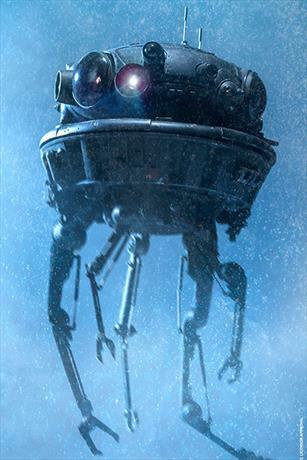 First introduced in the opening scenes of Star Wars Episode V: The Empire Strikes Back, this tenacious spy sets intergalactic war back in motion upon locating the Rebel Alliance base, hidden on the icy surface of the planet Hoth. 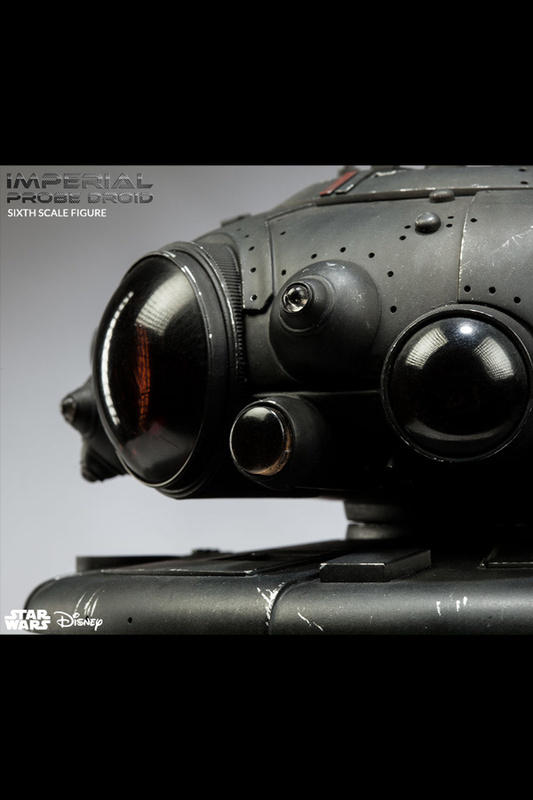 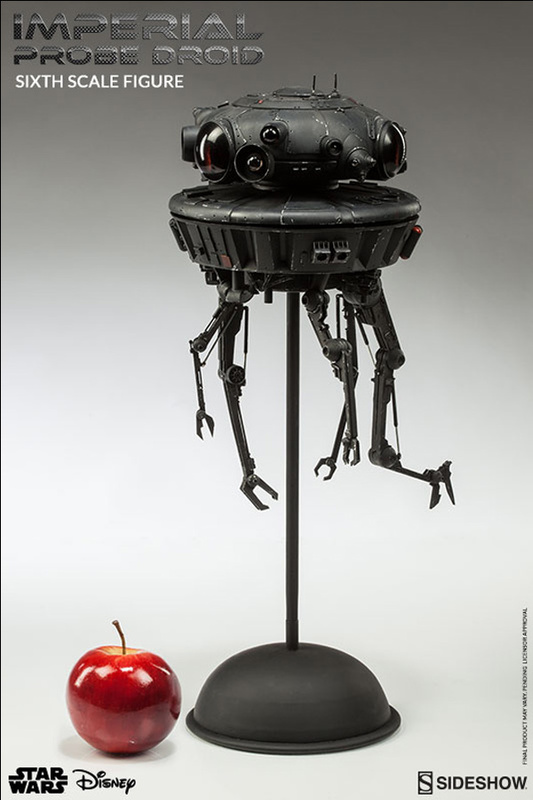 The immense Imperial Probe Droid Sixth Scale Figure is packed with personality. 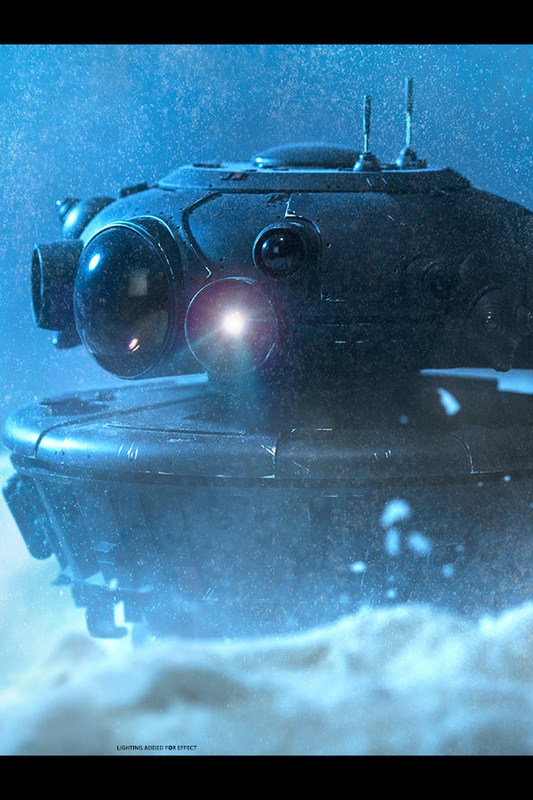 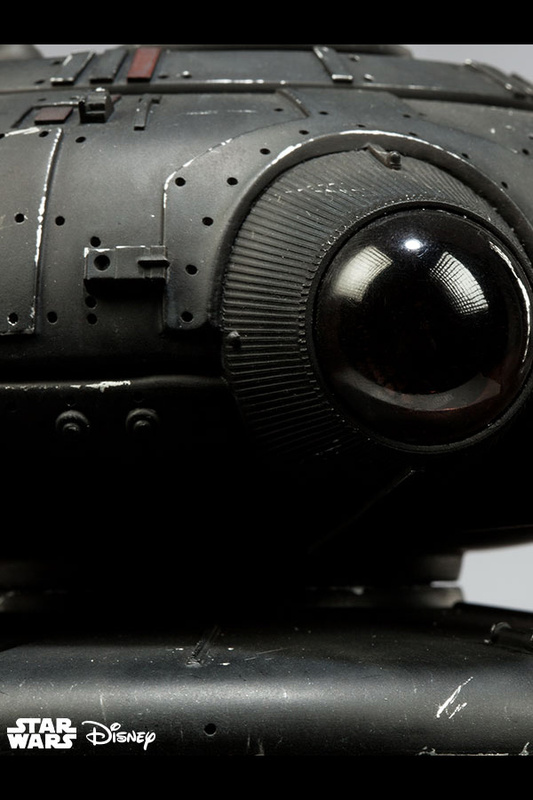 Ominous black eye lenses, brilliant light up features, and a squawk box loaded with garbled transmission sound effects distinguish the Probot with a dramatic, and less than friendly, impression. 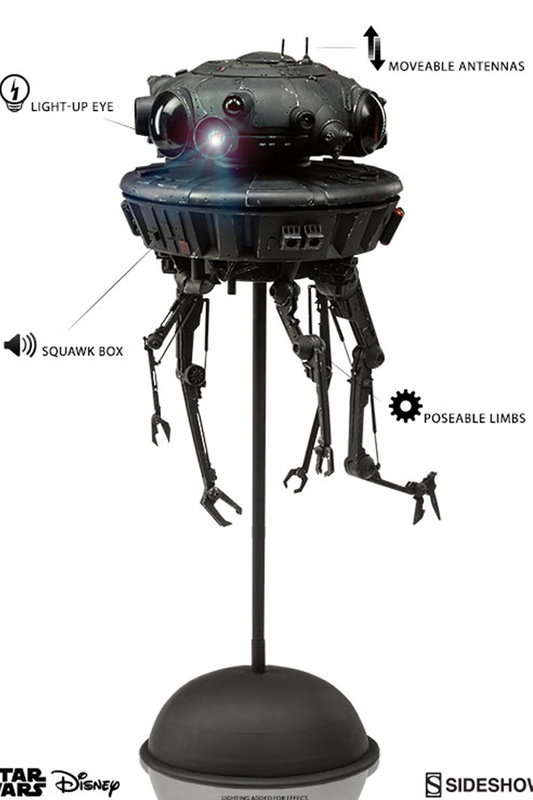 Designed for searching, scanning and sampling, the diligent patrol unit has a wide range of motion with a rotating dome, retractable antennae, and fully articulated manipulator arms. 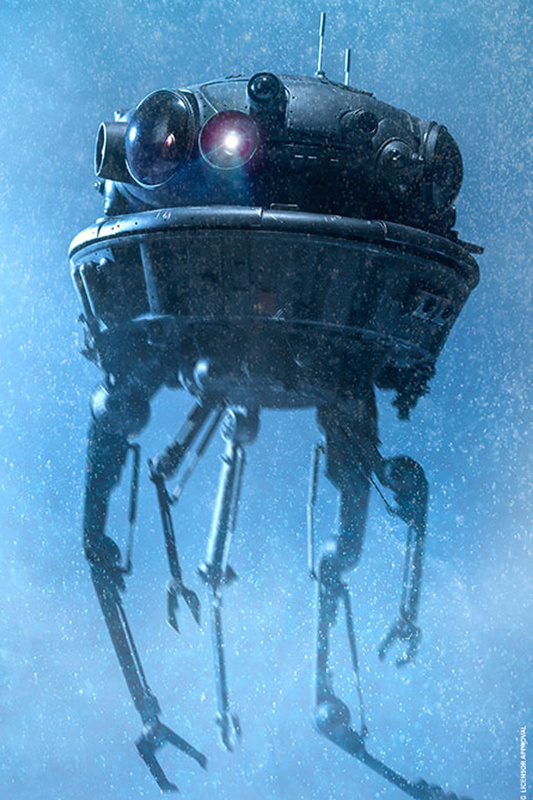 Just be cautious when handling; they're armed with blasters, and in some cases they've been known to self-destruct.